USA. Billfish update the first boat from our used Viking Mullica facility is the 37 Billfish.Tuesday, 11 October 2016 This used model is the heir apparent to the classic day boats popular with the Palm Beach sailfishing crowd in the 1950s and 1960s for simplicity and utility. Now with a more contemporary look and utilizing modern, superior materials and fuel-efficient steam power, the 37 Billfish is ready to take its position as a modern classic. A one-piece liner extends from the inner transom and includes the cockpit, command deck and lower helm. 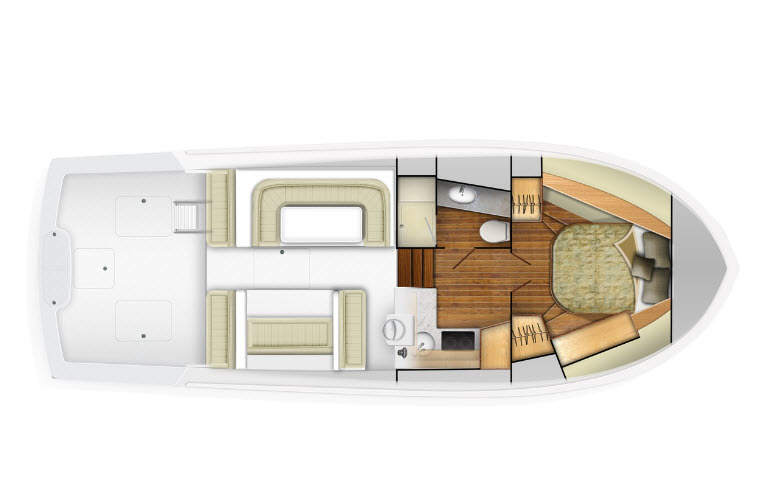 The flying bridge will be outfitted with a center console helm as you would expect aboard a Viking tournament contender, along with pedestal helm chairs, flanking lounges and ample room for electronics. A fiberglass hardtop and a three-sided Costa Clear enclosure will provide all-weather protection. A second helm station on the lower command deck plays a useful role for the owner/operator when fishing short-handed, as well as for extending the season in spring and fall in temperate climes. When the command deck is air conditioned, it is the perfect antidote for tropical haunts like Costa Rica. A convertible dinette and a small settee, keeps everyone close to the action in the cockpit. A practical cockpit with 86 square feet of usable space includes a transom door and lift gate, a transom fish box, a bait freezer, insulated in-deck fish boxes, mezzanine seating and wash down systems. A grippy non-slip cockpit sole is reinforced to mount a fishing chair or rocket launcher. Where the 37 Billfish leaves those classic designs in the wake is in the boat’s interior. Utilizing the near 14-foot beam the accommodations are Palm Beach uptown with an attractive and practical interior by WBC Design. A private bow stateroom has room for a single queen, or over and under berths. A full entertainment system including a 20-inch flat screen television is standard. The air conditioned head includes a fiberglass shower stall. The L-shape galley is well dressed with Corian counters, a micro-wave/convection oven, an electric cooktop, and under counter refrigeration. Still wrapped in the corral is a pair of 550 mhp Cummins QSB 6.7 550 steams, which will deliver a 30 plus knot cruise and a top end of 35 knots depending upon load, sea conditions and other environmental factors. A 9 kW generator is standard. 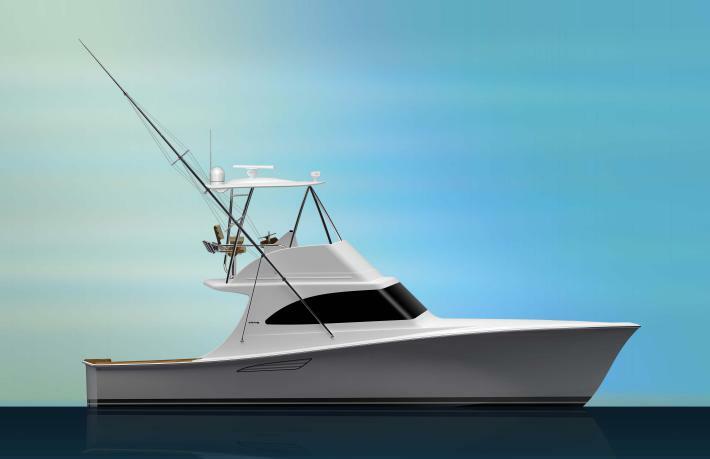 The 37 Billfish one of five used models Viking will be introducing for 2017 will have a private showing at the 21st Annual Viking VIP Boat Show Preview at the Viking Yacht Service Center in Riviera Beach, Florida, February 3-4, 2017, followed by its world premiere at Yachts Miami Beach 2017, February 16-20, 2017 in Miami Beach. This entry was posted in Uncategorized by mattcondon. Bookmark the permalink.